An Integrated set of over 20 deployable document templates. Examples of over 50 common work products required in support of assessment activities. Examples of organizational delineation of process documentation. 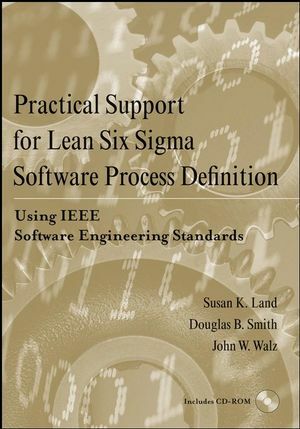 This book provides a set of IEEE Software Engineering Standards-based templates that support the documentation required for all activities associated with software development projects. The goal is to provide practical support for individuals responsible for the development and documentation of software processes and procedures. The objective is to present the reader with an integrated set of documents that support the requirements of the CMMI-SW® Levels 2 and 3. 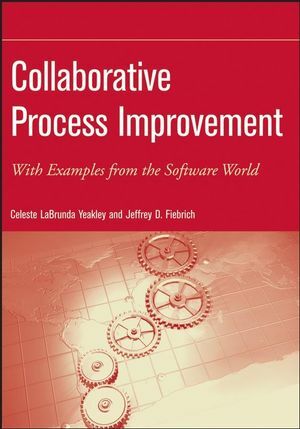 This book is meant to both complement and extend the information provided in Jumpstart CMM®/CMMI® Software Process Improvement Using IEEE Software Engineering Standards. 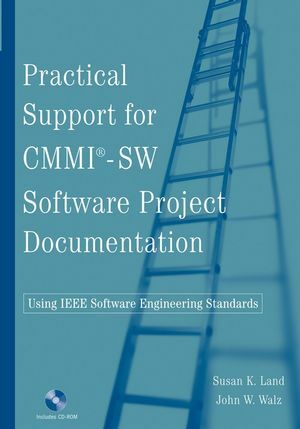 Jumpstart provides a detailed mapping of both the CMM® and the CMMI-SW® to the IEEE standards set and provides a logical basis for the material contained within this text. 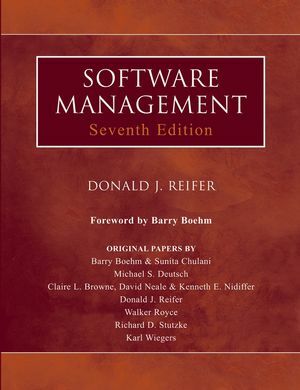 It is hoped that this book will provide specific support for organizations pursuing software process definition and improvement. For organizations that do not wish to pursue CMMI® accreditation, this document will show how the application of IEEE Standards can facilitate the development of sound software engineering practices. It also comes with a CD-Rom. SUSAN K. LAND, a Software Engineering Section Manager for Northrop Grumman, is Chair of the IEEE Standards Advisory Board (SAB), a member of the IEEE Computer Society Board of Governors, the IEEE Software and Systems Engineering Standards Committee (S2ESC), the Editorial Board for the IEEE Computer Society (CS) Software Engineering online publication, the IEEE CS Professional Practices Committee, and the development team of the Strawman and Trial versions of the Software Engineering Body of Knowledge (SWEBOK®). She is an IEEE Certified Software Development Professional (CSDP) and the author of Jumpstart CMM®/CMMI® Software Process Improvement: Using IEEE Software Engineering Standards. JOHN W. WALZ retired as Senior Manager, Supply Chain Management, Lucent Technologies, where he held leadership positions in hardware and software development, engineering, quality planning, quality auditing, quality standards implementation, and strategic planning. He wrote the TL 9000 chapter in the ISO 9000 Handbook, Fourth Edition and is an expert speaker in the Distinguished Visitor Program of the IEEE Computer Society. Mr. Walz serves on the U.S. Technical Advisory Group to ISO Technical Committee 176: Quality Management and Quality Assurance. 5. CMMI®-SW Level 2. Support. 7. Land 2 CMMI® for Small Projects. Appendix A: IEEE Standards Abstracts. Appendix B: Comparison of CMMI®-SW Levels 2 and 3 to IEEE Standards. Appendix C: Software Process Work Products.